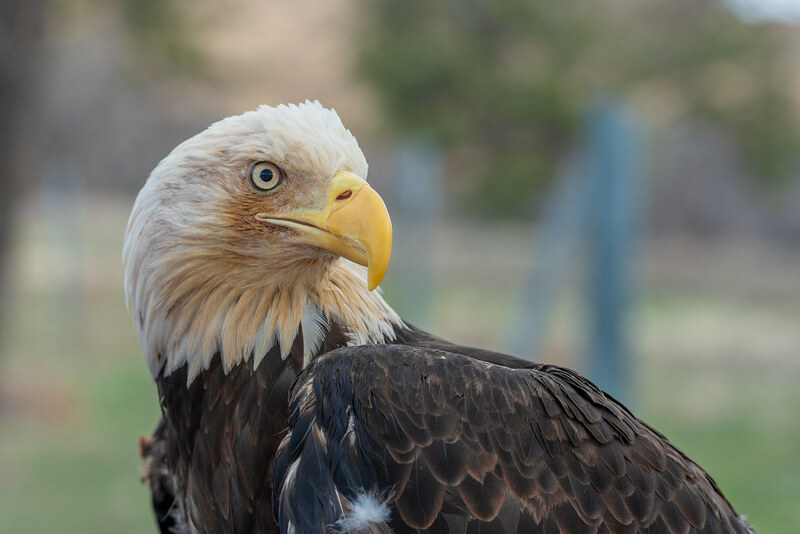 This eagle was found downed in the wild in North Carolina with an eye issue from unknown cause. She also sometimes will appear to have a slight droop to one wing. We are unsure of the cause of injury, but she cannot see well enough to hunt on her own.